Any diagram showing two or more celestial bodies is almost never drawn in the correct scale. The reason is that in most cases, any two celestial bodies are spaced too far away relative to their sizes. It is just not possible to draw them in the correct scale and still effectively describes what we want to explain. We don’t have much choice other than drawing them not to scale. 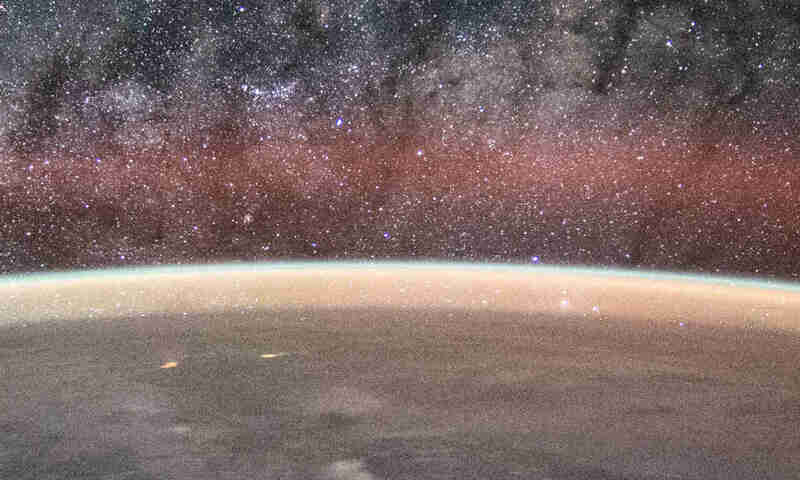 The perpetrators of flat-Earth disseminate the allegations that the diagrams were drawn not to scale because of evil intentions, and not because of legitimate technical reasons. Some people don’t understand this and fell victim to flat-Earth indoctrination. 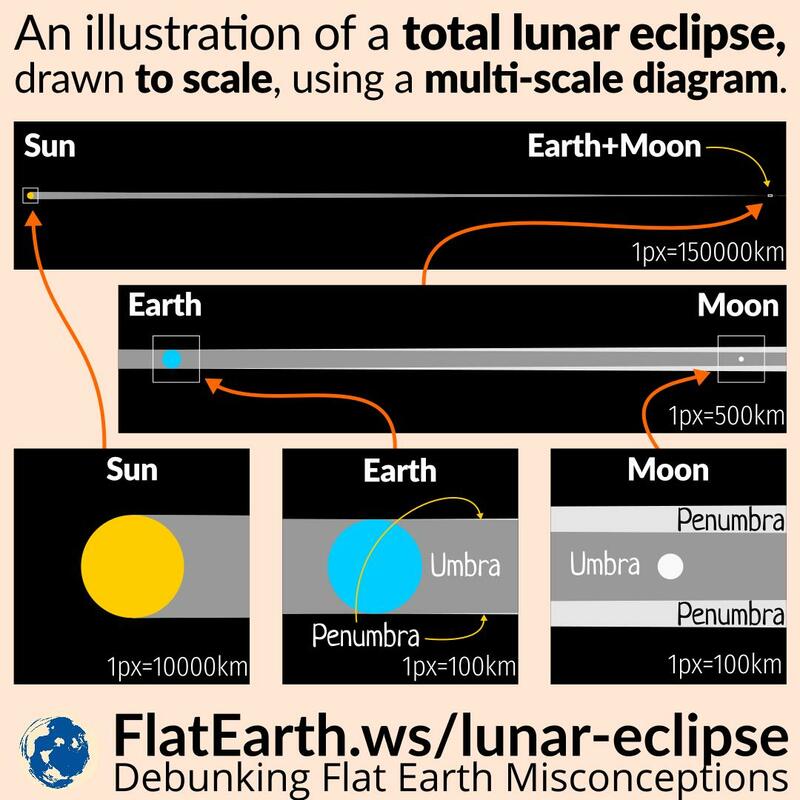 To illustrate the fact, we created a diagram of a total lunar eclipse, drawn to scale using a multi-scale diagram. This method has the benefit of having the correct scale while still getting the point across, hopefully. The downsides are the diagram is much harder to create and a little harder to understand than the typical diagram drawn using the ‘wrong scale’.